Performance-PCs.com is located in sunny Palm Bay, FL at our new expanded location and has been the front-line of computer modification supplies and PC water cooling for over 20 years. With over 12,000 square feet of warehouse space we offer a huge inventory of specialty hardware items such as fans, lighting, DIY, and water cooling parts. 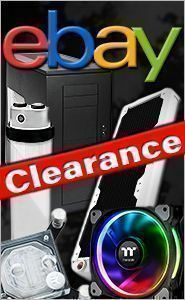 We also offer specialized services ranging from custom-sleeved power supplies to modified high-end computer cases unique to this site. Our new awesome storefront makes it easier than ever to select the latest cutting-edge hardware you may need. We set trends! We're the 1st company to offer 100% sleeved power supplies, the creators of the modular power supply which is now a staple of the custom PC building world! PPCS Black PCB RGB 12VDC SMD5050 Waterproof 45 LED Strip Light - Sleeved -30"
PPCS Black PCB RGB 12VDC SMD5050 Waterproof 36 LED Strip Light - Sleeved -24"
PPCS Black PCB RGB 12VDC SMD5050 Waterproof 27 LED Strip Light - Sleeved -18"
PPCS Black PCB RGB 12VDC SMD5050 Waterproof 18 LED Strip Light - Sleeved -12"
PPCS Black PCB RGB 12VDC SMD5050 Waterproof 9 LED Strip Light - Sleeved -6"